Personalizedcart is the site to check out! 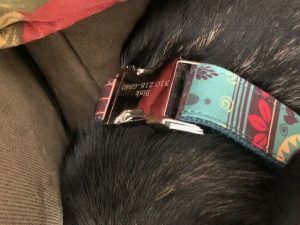 Looking for a Personalized Collar for your Pet? Personalizedcart has you covered. 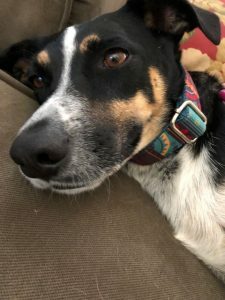 I received a really cool Pet Collar for our Pup Bink! I just love the quality and the colors. They also have Pet Tags that can be personalized. 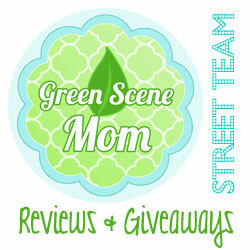 What I really love about this site is that they have wonderful gifts for everyone on your list! There are gifts for women, gifts for men and such a variety of personalized gifts to choose from! So, keep personalizedcart.com in mind for your holiday shopping this year! 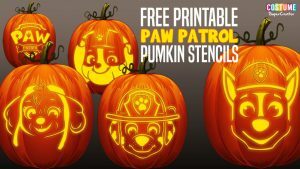 Paw Patrol Pumpkin Stencils and More! It’s time to get ready to carve some pumpkins! 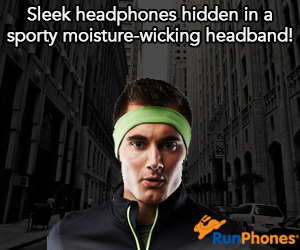 Go all out this year with one of the most fun, lasting Halloween traditions. Our Paw Patrol Pumpkin Stencils are the perfect way for you and the kids to create a masterpiece this year! You and the rest of the family are bound to find a stencil that you love for decorating your pumpkins this year. From Cars to Up, we have stencils from various children’s’ movies. 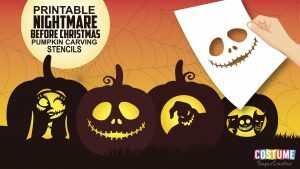 But, of course, we have to draw attention to the most popular category of all this Halloween–Nightmare Before Christmas. These beloved stencils have been popular for quite some time, and don’t seem to be going anywhere anytime soon. 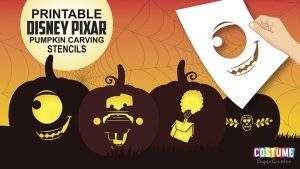 Don’t miss this opportunity to impress everyone and do some artwork with your kids this Halloween! Thanks to our friends at COSTUME SUPERCENTER! Children will love this fun holiday CD! 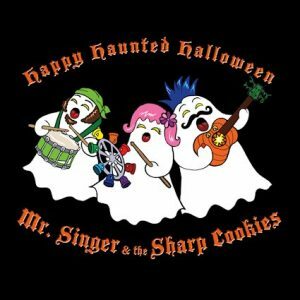 Both onstage and in the studio, Mr. Singer and the Sharp Cookies specializes in fresh, positive, high-energy music at kid-friendly volumes, sneaking a little mischief, a little sweetness, and a lot of fun into their clever originals. Happy Haunted Halloween kicks off with “Happy Halloween,” a truly happy, upbeat dance number about the excitement kids feel before going trick-or-treating on Halloween night. “Ain’t Scared of Nuthin'” is a little bit of Halloween bravado and some “I’m not so sure about this!” set to a Bill Haley-type boogie-woogie, featuring guest artist Mr. Nick Davio. “Grandpa’s Ghost,” about a grandpa whose life is saved by the harmonica in his pocket, is straight-up country, while “Dream of the Bonfire,” a melodious ode to bonfire celebrations, overflows with all the good things about spending Halloween with friends. Self Disclosure: I received a free CD to facilitate this post. Information and images provided by Waldmania PR. The Festival of Arts, a non-profit 501(c)(3), has always been a local leader that has helped with the growth and development of the community and the arts in Laguna Beach. 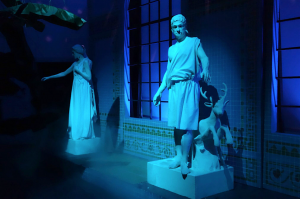 Established in 1932, the Festival of Arts’ mission is to promote, produce and sponsor events and activities that encourage the appreciation, study and performance of the arts.